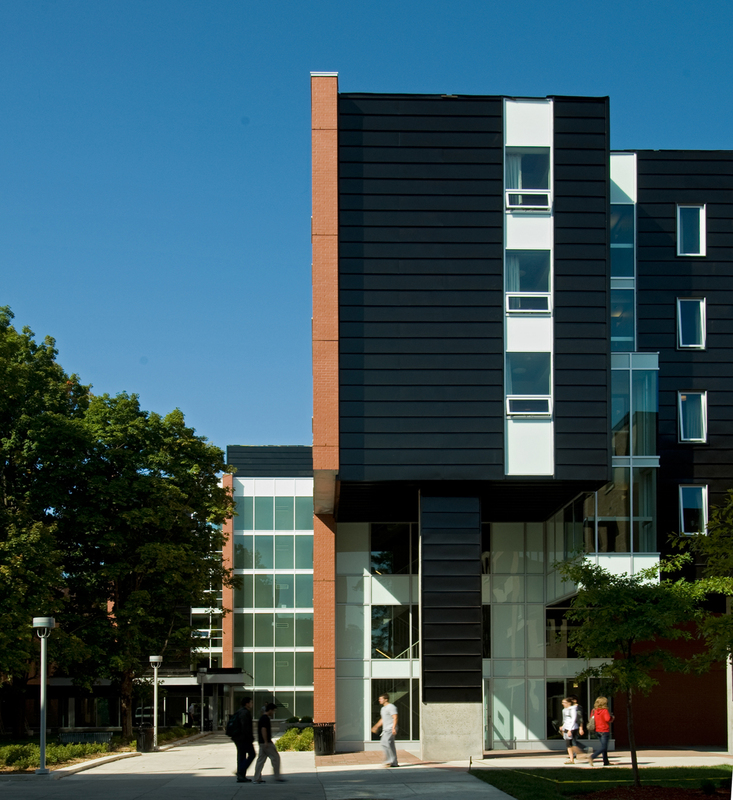 Frontenac House on the Carleton University campus accommodates 250 students and is the school’s most energy-efficient residence. 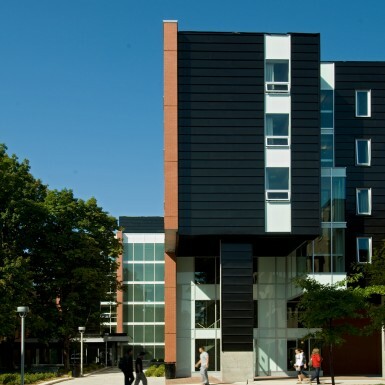 It is a six-storey suite-style residence and is designed for undergraduate students. The linear, streamlined design complements the existing residential quadrant of the campus while creating a new student plaza. The project connects to the existing pedestrian tunnel system and to the adjacent Lanark Residence.